← Constitution Free Zones?! What the bleep? 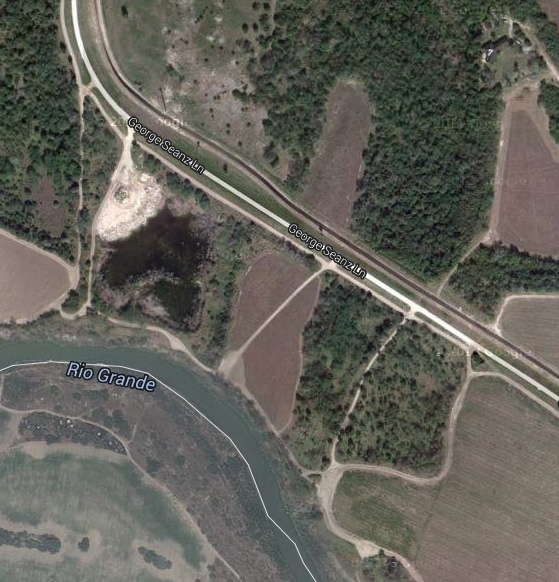 Here’s a few google earth maps to show parts of the trip. The blue line is the shuttle to the launch site, red is via kayak. 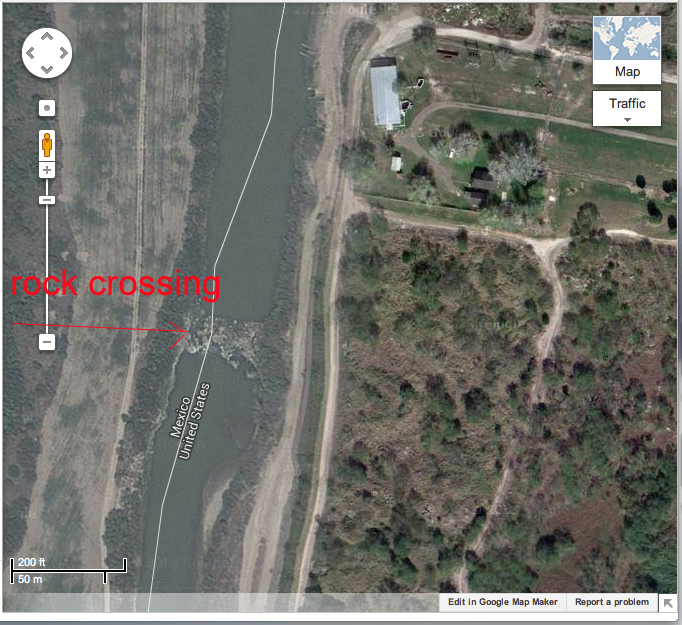 Note that after the river and I’m in the gulf I plan to stay there and pass the jetties instead of going on the inside. I’ll come up even with my house and then portage using my kayak cart back to the house. Suntide3 will be my finish if it’s not too rough out, otherwise I’ll take the bay in. I’ve done that route so much i’m trying to change things up a bit. 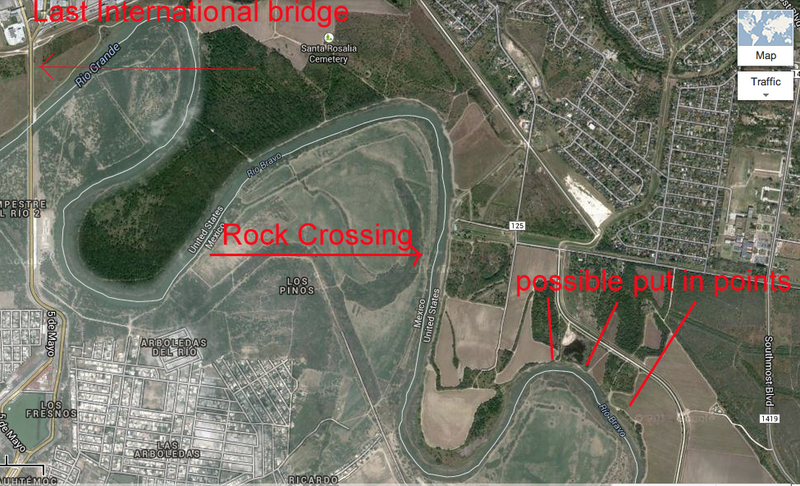 Below shows the area of the start, below the last international bridge and below the last “Rock Crossing” or as I might also refer to it as the Saltwater Barrier. The “Rock Crossing”. Usually near a pumping station. I want to paddle upriver from where I launch and see this. It’s not too far away. From what I can tell from Google Earth this is my best bet for launching. I will go and scout this out first. I’ll also let the Border Patrol know of my trip so they have a heads up on things. I’d not mind seeing those DPS patrol boats with the 50 cal mounted on it either! I’ll also have my gps locator device Spot2 working for this trip.